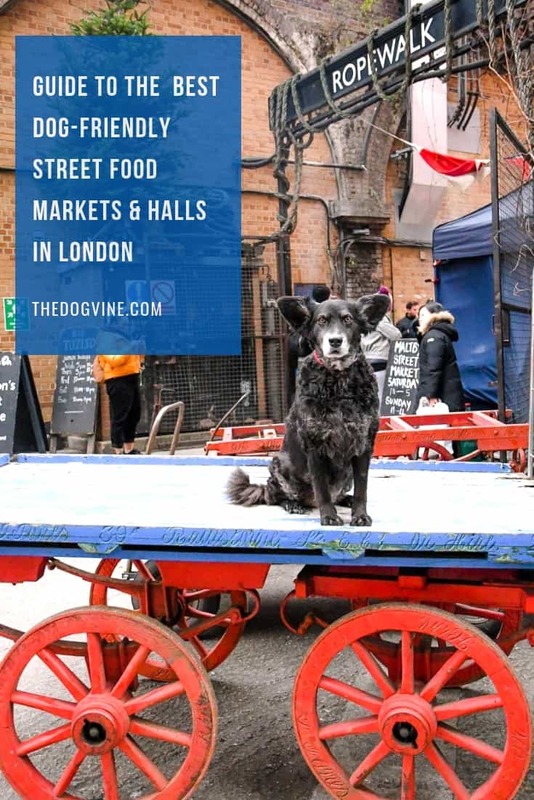 If you want to eat some of the best Street Food in London (and take your dog with you), then this guide is for you as we’ve been busy eating our way around the best dog-friendly street food markets and market halls in London. Belinha very much enjoyed her research assignment for this guide and has taken full advantage of the plethora of food hoovering opportunities it has presented. 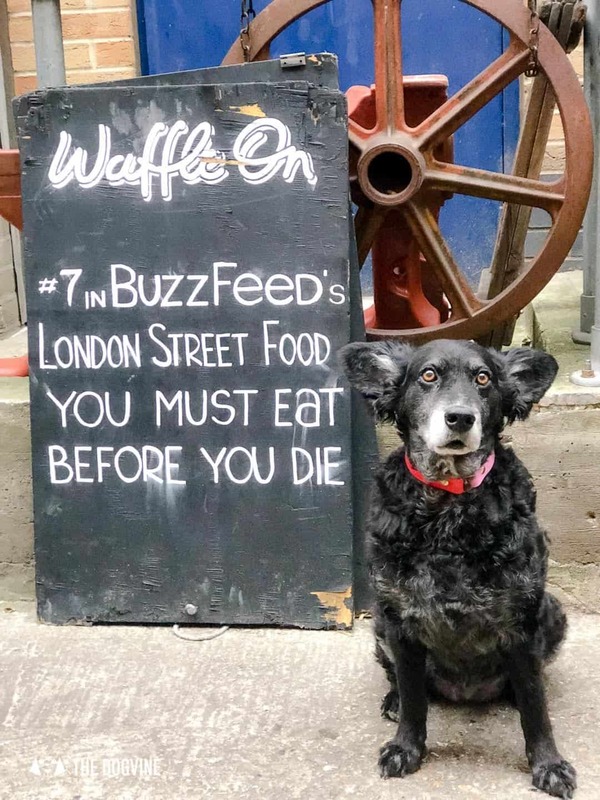 Personally, these days I often find myself choosing one of London’s street food markets or market halls as a place to eat out as not only are they likely to welcome dogs, but there is always such a diverse range of food options on offer so perfect when the humans have a mix of tastes or dietary preferences to cater for. 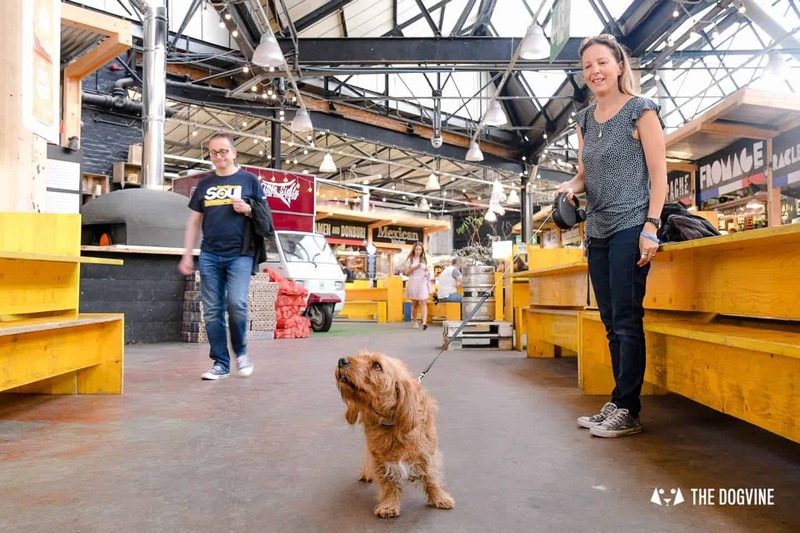 This new wave of dog-friendly street food markets and halls are full of urban charm, often located in some of London’s previously empty buildings, transforming them from unused and derelict to unique and desirable. 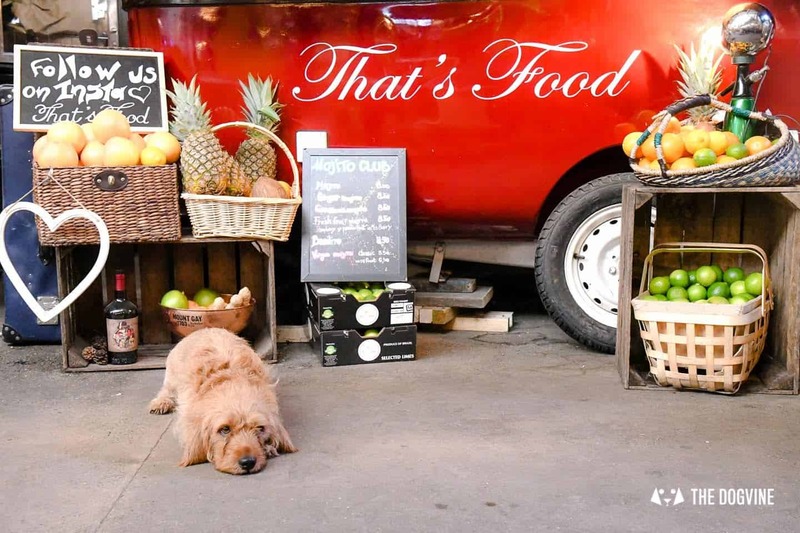 As many of them are indoors (or weather-proofed during the winter months), dog-friendly street food markets are a great ‘hanging out whilst eating out’ alternative for rainy days too. 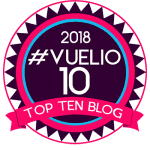 And just to be clear, we’re not talking actual street food of the kind that will send your stomach into meltdown but a new generation of chic street food pop-ups that are simply delicious. 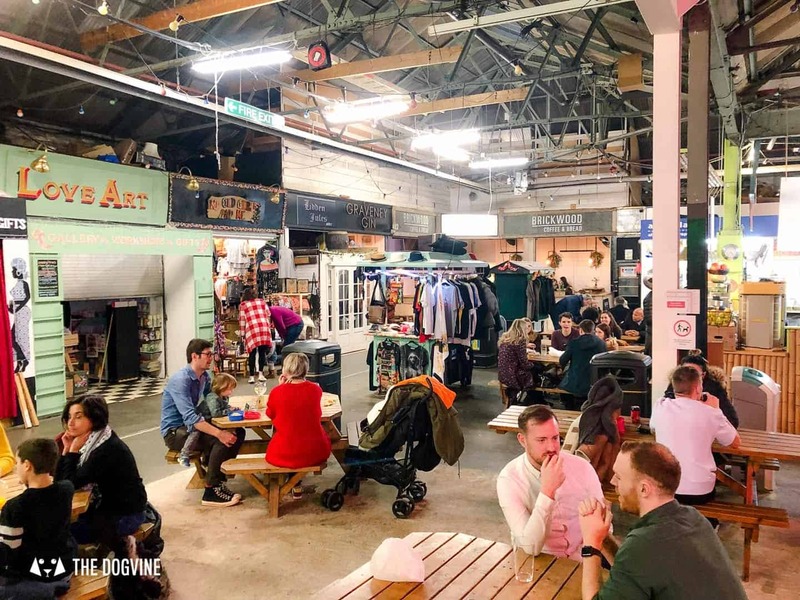 This sprawling Southwark indoor and outdoor food market is a firm favourite of ours as there is literally something delicious for everyone from most corners of the world and plenty for vegans too. 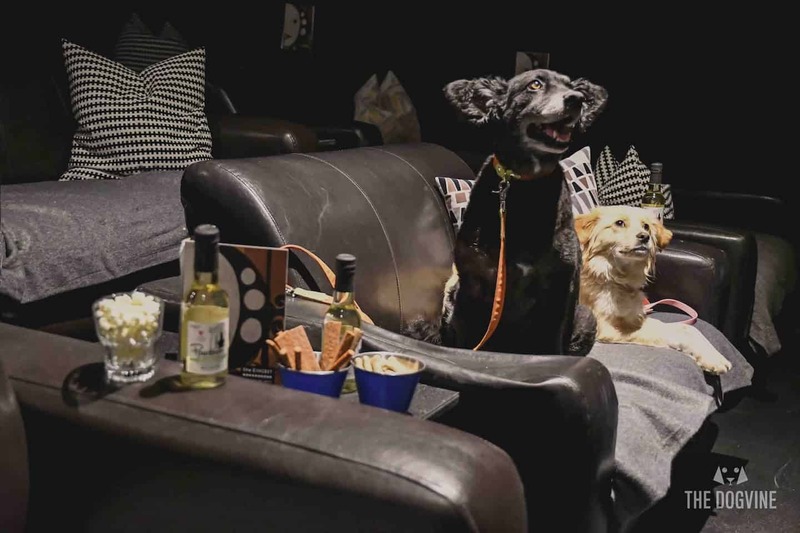 The sight of dogs patiently waiting for a sneaky sample is pretty standard as pups are welcome everywhere with the exception of the cinema where they are only allowed in the bar area – yes there is a charming cinema too. There is even a brewery onsite for the beer lovers amongst us. Many of the food stalls have a permanent spot but some do change on a regular basis so there’s always something new to try – we can personally recommend the Gourmet Hot Dog kitchen, the vegan hot dog is amazing. 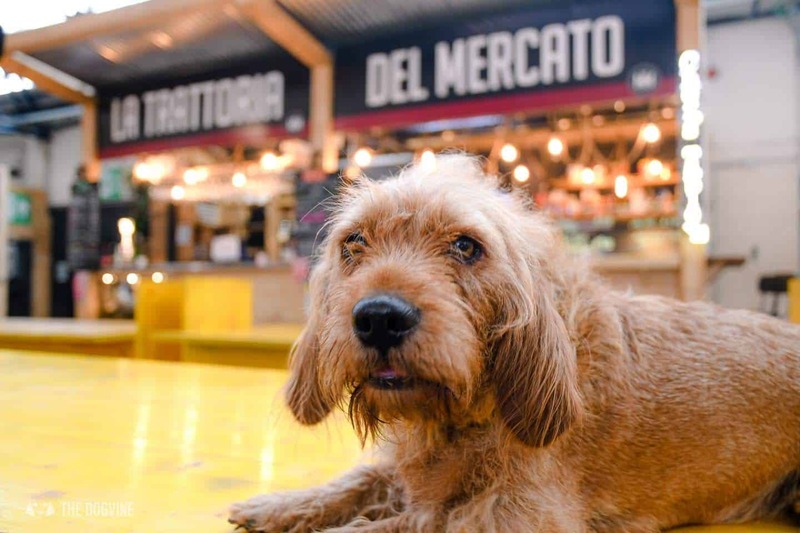 We’re not the only ones who love a dog-friendly dinner down Mercato Metropolitano either, this Southwark foodie heaven featured in Amber the Basset Fauve’s My Dog-friendly London Guide to Elephant & Castle last year. And we mustn’t forget the onsite Italian delicatessen store which our Italian friends tell us is heavenly. Finally, some good news for Mercato fans, a new Mercato Metropolitano is opening in Mayfair later this year which we can’t wait to sniff out if it’s any good as the original which no doubt it will be. When: 8am-11pm (Mon to Fri), 11am-11pm (Sat), 11am-10pm (Sun). 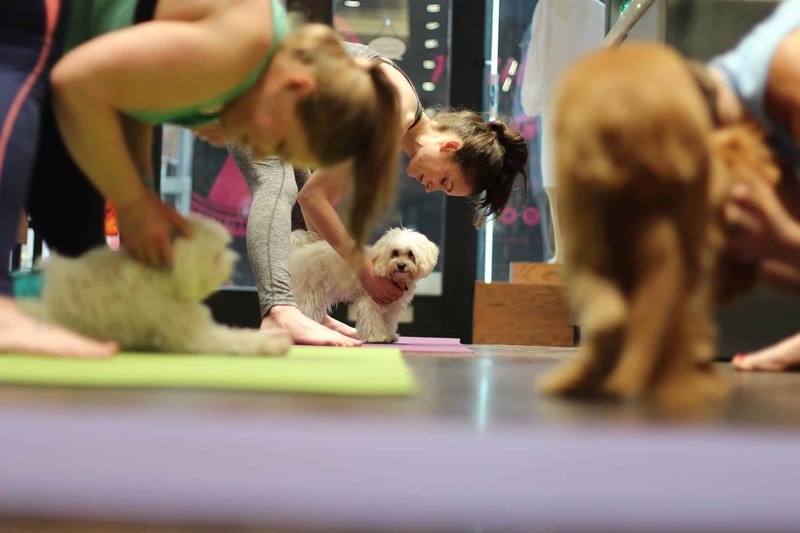 There is plenty of space and it’s not too loud for dogs as long as you don’t go on a busy Fri/Sat night. There is also an outdoor area with even more food stalls that is open in summer. 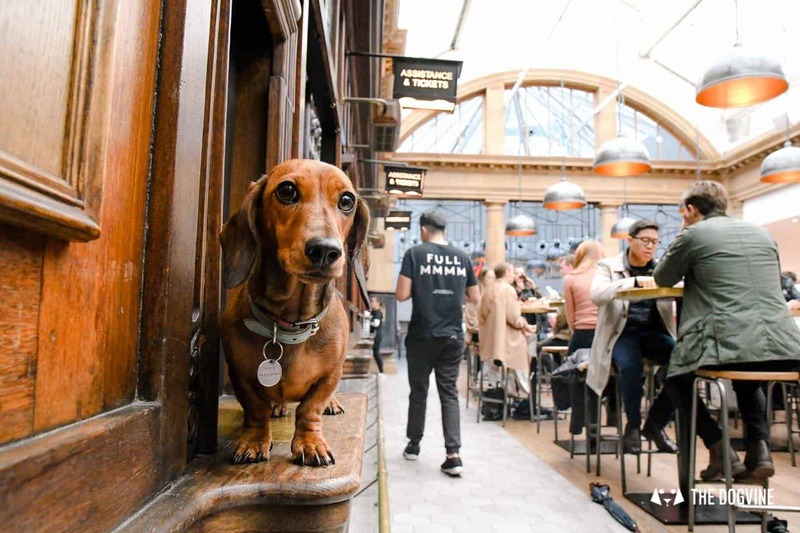 A recent addition to the dog-friendly Fulham scene and already making its way around town is the Market Halls concept. 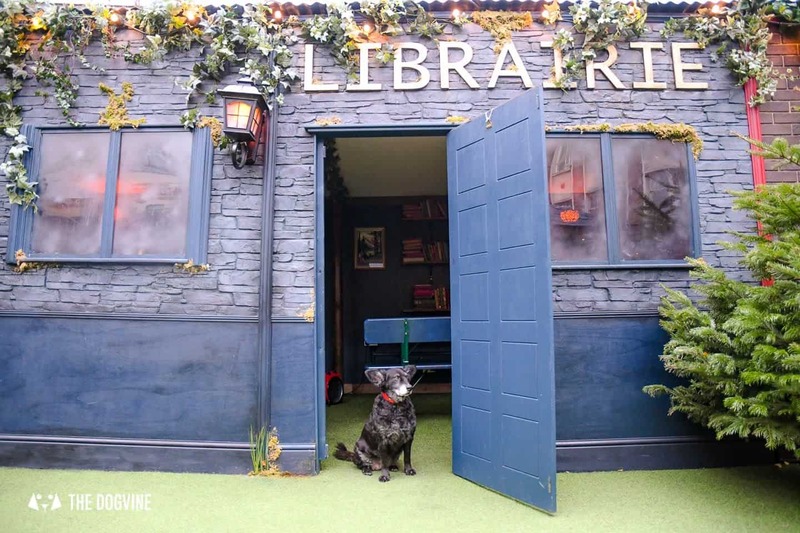 Take an old disused building, in this case the Edwardian entrance to Fulham Broadway Tube and turn it into a foodies delight home to some of London’s best street food offerings (and as featured in Mathilda the Sausage’s My Dog Friendly Guide to Fulham recently). With 7 different kitchens (vegans catered for), a coffee shop, bar and communal seating for 250, this is one for the must-visit list. How cool are the old ‘Train Station’ signs! This is the first of what looks like several Market Halls around town, more on that in a moment. When: 8am-11pm (Mon to Sat), 10am to 10.30pm (Sun). 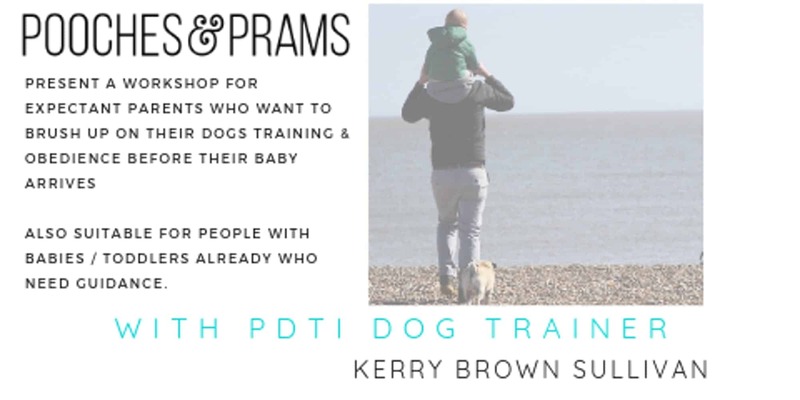 Great for breakfast, brunch and dinner although we would recommend avoiding busy weekend evenings if bringing your pup. Kitchens close an hour before the Market Hall closes. Flat Iron Square is a gem of a hidden foodie hub in Southwark. We stumbled on it last year and have been back several times. 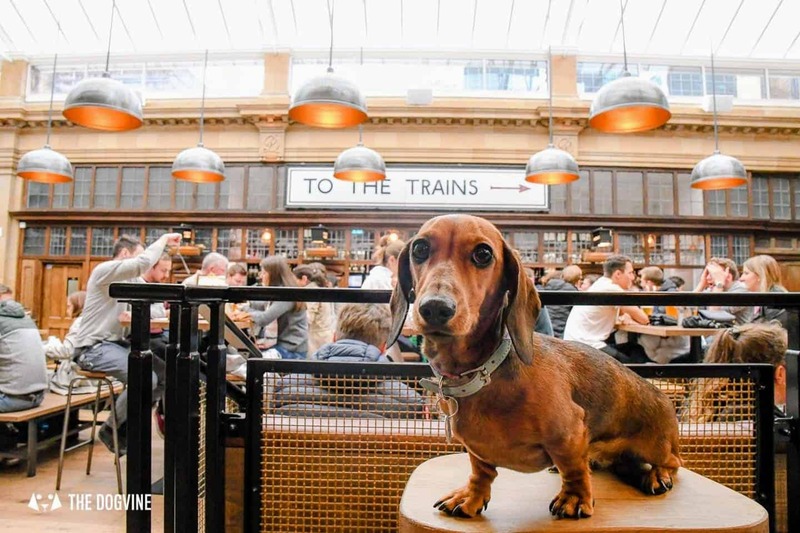 Located in seven railway arches as well as a Grade II listed house, there is a great mix of food stalls and street-food trucks as well as a bar and stunning outdoor area, so plenty of space for people and pups. 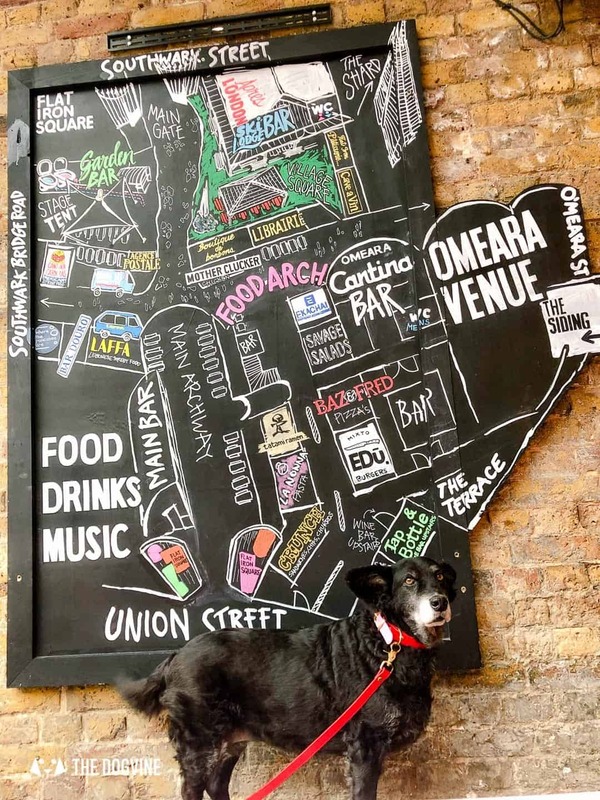 Flat Iron Square is also home to a live music venue so check the What’s On section on the website to avoid large crowds and loud music for doggos. On weekends the very charming vintage makers market FLEA also takes up residence if vintage is your thing. 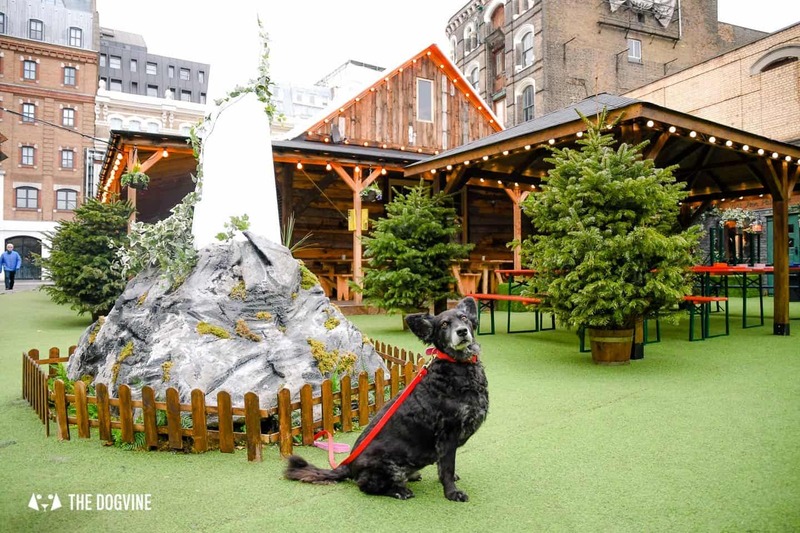 Just a short walk from the not dog-friendly Borough Market, Flat Iron Square is a definite asset to dog-friendly SE1 in our opinion! On the other side of town is Greenwich Market with a claim to fame of being London’s only market set on a World Heritage site. 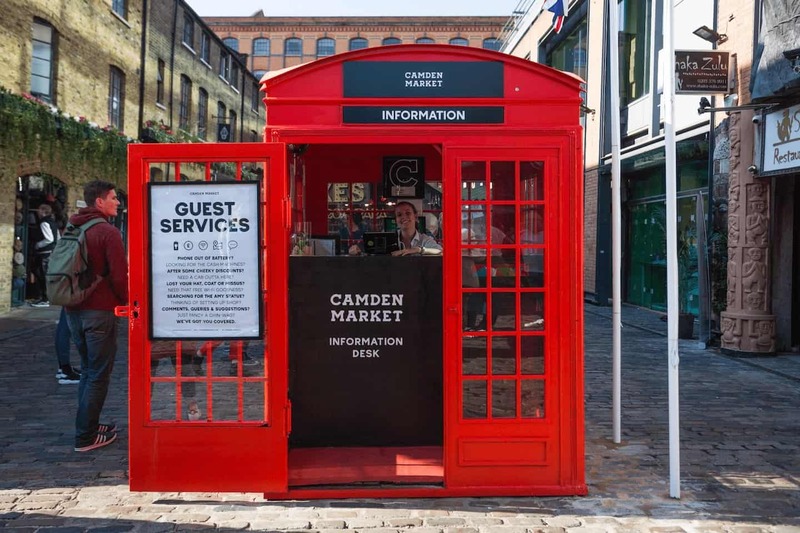 Boasting a mix of stalls from arts and antiques to street food and fashion, this market is a delightful eclectic mix of something for everyone set just a stone’s throw from beautiful Greenwich Park as well as The Cutty Sark. Each day different stalls taking up residence and you can check who will be there by day on the website. 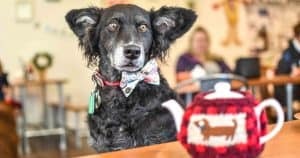 There are several permanent shops within the market too, several of which welcome doggos such as Crosstown Doughnuts and The Fudge Patch (we found the most amazing hand-made fudge here). Spitalfields Market has long been at the heart of the London street food market scene – since 1876 in fact and Old Spitalfields is one of London’s oldest Victorian market halls. 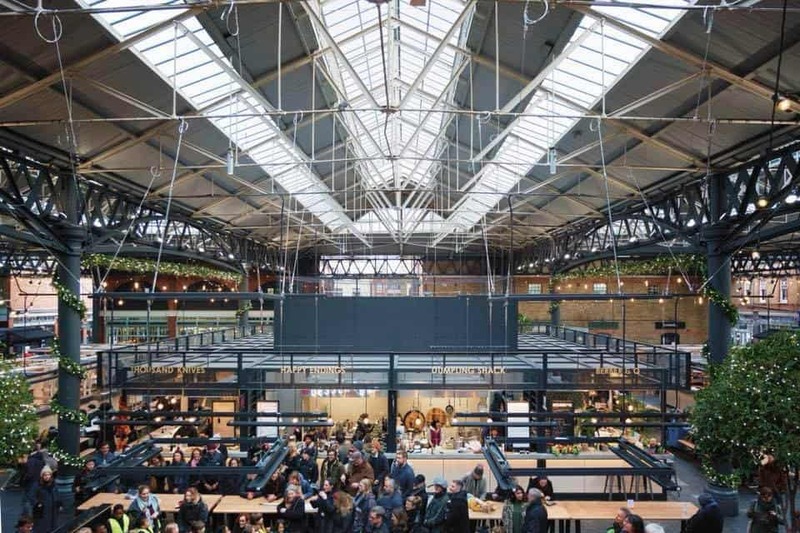 Now expanded so that the refurbished historic market is combined with a modern shopping precinct, Spitalfields retains its title as the East London mecca of antiques, food and fashion. Open seven days a week with Sunday being the busiest day of the week. 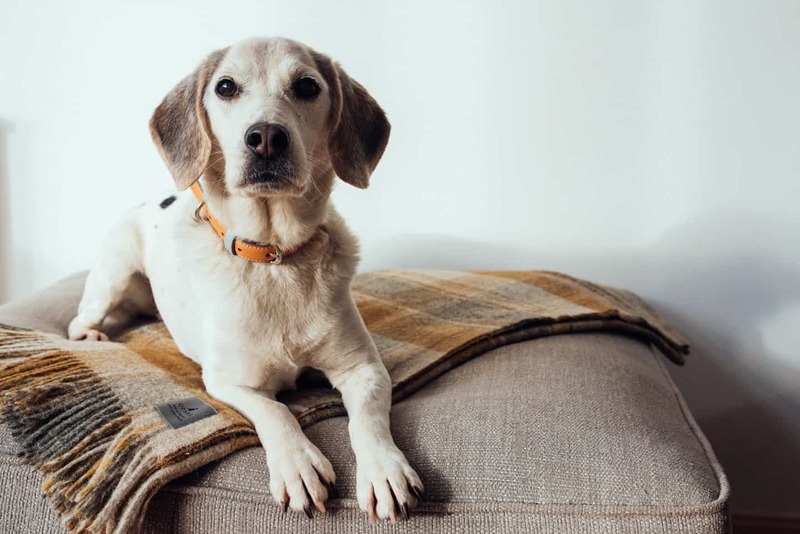 If you go, make sure to pay a visit to resident doggy stall Edwyn UK. Hot on the heels of the Market Hall Fulham came Market Hall Victoria. Housed in the old Pacha club opposite Victoria Station, Market Hall Victoria is a large space set across three floors with food offerings from eleven kitchens, a coffee shop and 3 bars! There’s also a roof terrace set to open in Spring 2019. We popped in to check it out and although it doesn’t have the train station charm of Fulham, it’s pretty impressive and handily located opposite Victoria Station too. We double checked at the door if dogs were allowed and were told by the charming doorman ‘only if they say hello to me’ so dogs make sure to give him your best hello if you visit! There is also a Market Hall West End on Oxford Street planned to open this year (coinciding with the planned pedestrianisation of Oxford Circus). This will not only be the largest food hall in the UK but will be Market Hall’s flagship building with a mix of local producers, retailers, restaurants, street food vendors, four bars, event spaces and a demo kitchen. We’ll update this guide when it’s open. Since we last went to Tooting Market it’s had a bit of a makeover. It’s still got it’s eclectic charm thanks to the higgledy piggledy stalls selling all sorts of wares from around the world but it’s also got a brand new modern section – the Yard Market. 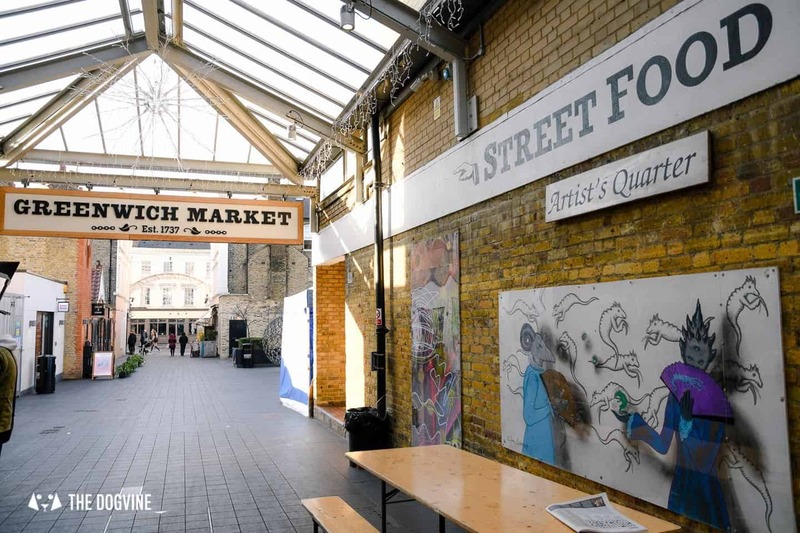 This part of the market is home to some fabulous street food stalls such as the Athenian for amazing Greek food or Panzerotto for an authentic spin on Italian pizza with their Panzerotti Pizzas (also in Greenwich Market on Fridays). 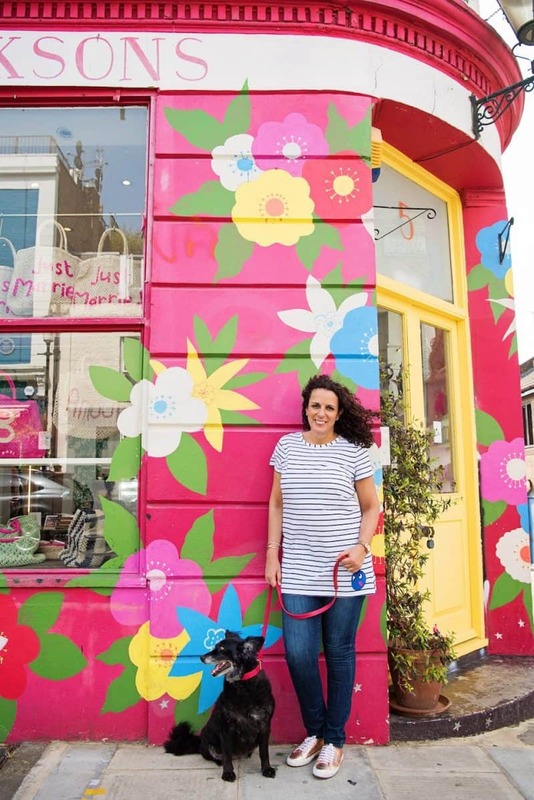 Some well-known dog-friendly favourites such as Brickwood Coffee can also be found in Tooting Market too. 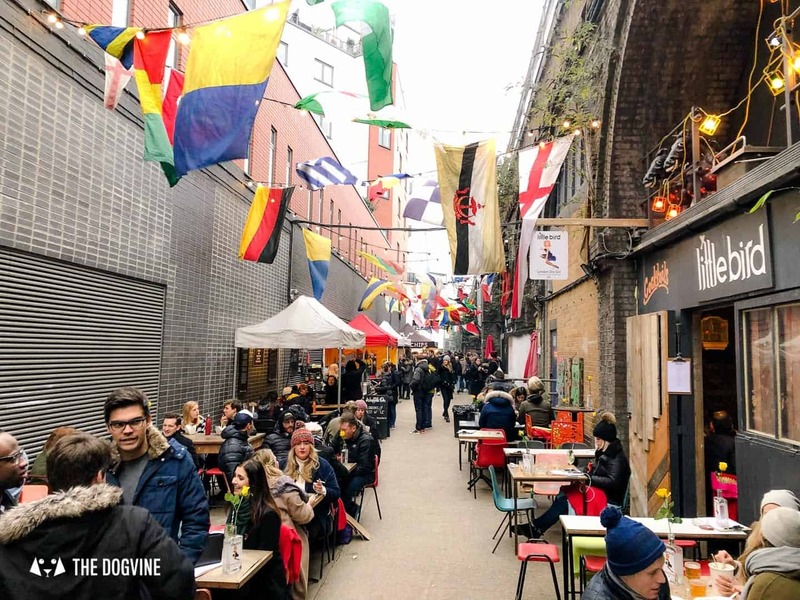 A short walk from both Bermondsey Street and London Bridge, Maltby Street Market is a weekend market tucked away down the charismatic Ropewalk. An architectural salvage lumber yard during the week, on the weekend it is transformed into an unpretentious international award-winning (dog-friendly) street food market. Ropewalk is a narrow street but there are plenty of nooks and crannies to grab a seat whilst tucking into an unexpected culinary delight from one of the stalls. Although we didn’t try the waffles from Waffle On (listed as #7 in BuzzFeed’s London Street Foods you must eat before you die), we did try the salted caramel hot chocolate with marshmallows from Fatties Bakery and it was to die for, I’d go back for that hot chocolate alone. 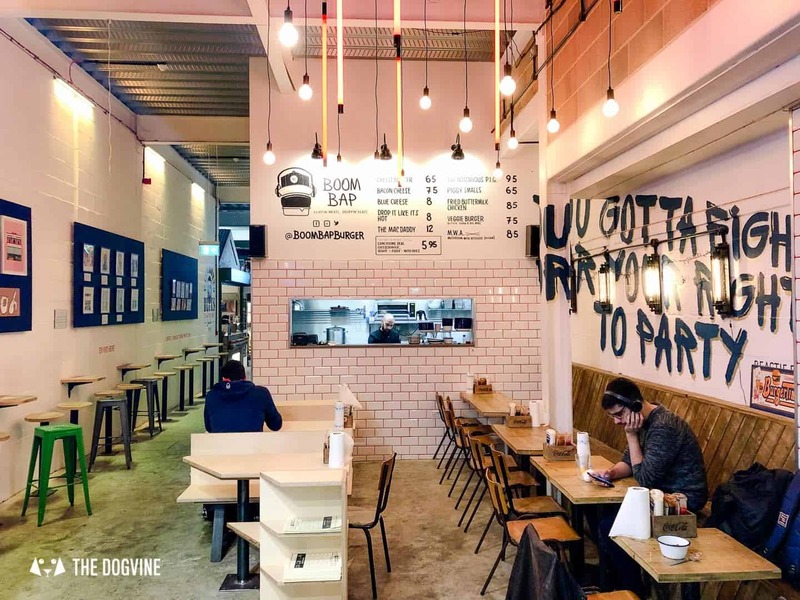 Winner of the Foodism ‘Best Food Market Award’, Pop Brixton is a community initiative that is thriving and we’re not surprised. 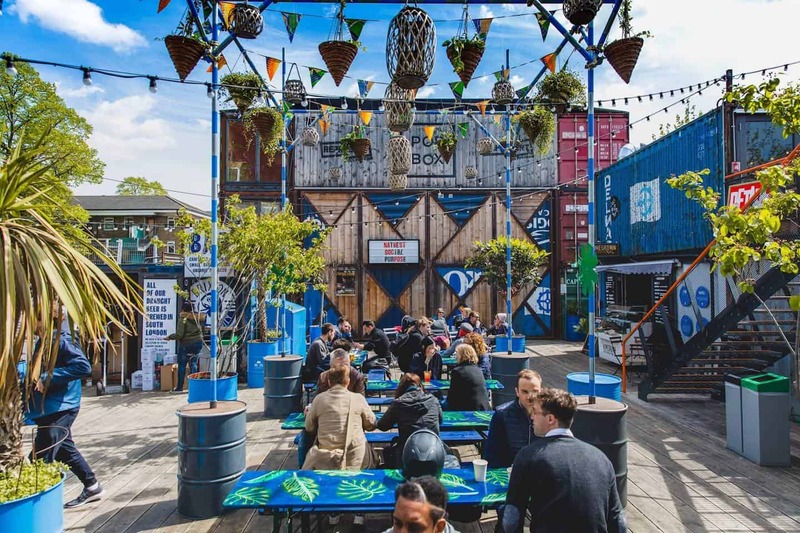 Think street food kiosks, restaurants, fashion and retail boutiques, a radio station and even a barbershop – all set in upcycled shipping containers celebrating local and independent businesses. And as if that wasn’t enough, there’s also a regular program of entertainment and events. Open air in summer and winter-proofed for the rest of the year so you can enjoy it all year round. Once a horse hospital and stables (hence the name), Camden Stables Market is the largest of Camden’s market spaces and home to many food, fashion and craft stalls. As with most things Camden, think an eclectic mix of stalls selling everything from vintage and original fashion to unique gifts. When you’re done shopping, tuck into some of the best street food around with something to suit all tastes (including vegan of course) at one of the 70+ food stalls, cafes and more. 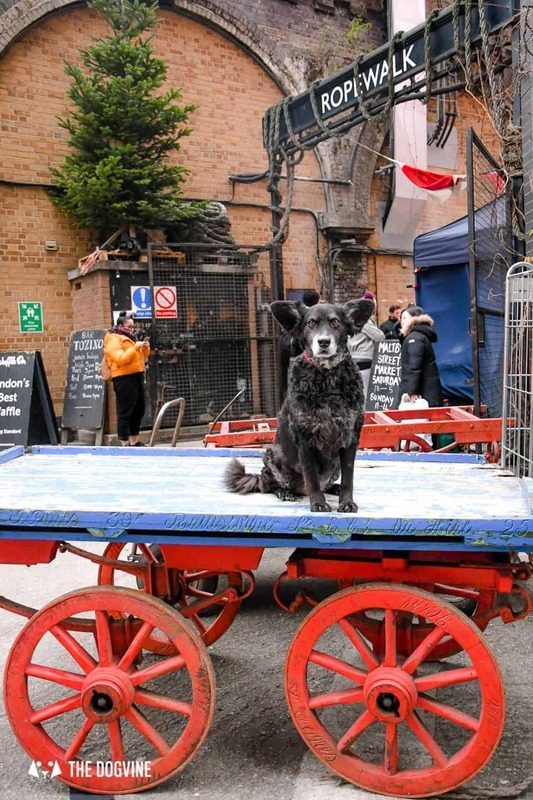 It’s been a while since we’ve been but Camden Stables Market Guest Services confirmed to us that they welcome all types and sizes of doggos! 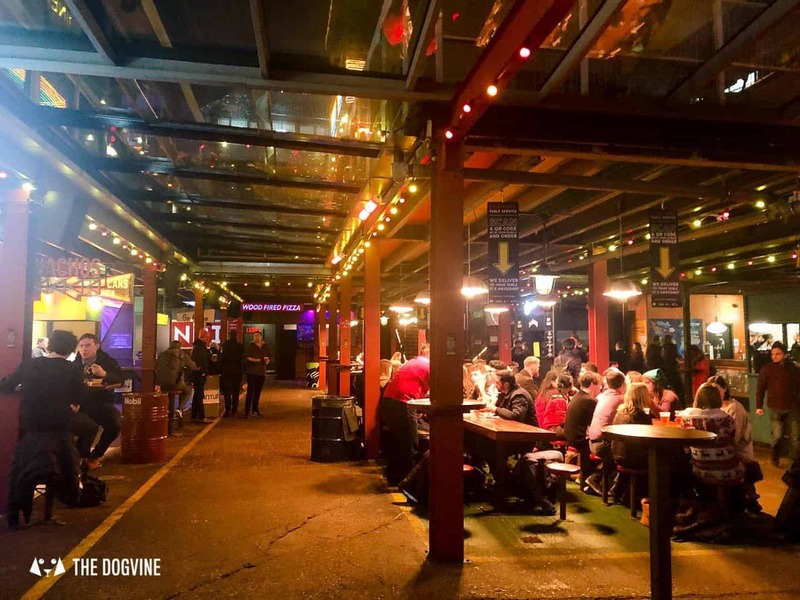 Part of the Street Feast family, some of which are dog-friendly – Dinerama in Shoreditch is one of their venues that welcomes dogs. 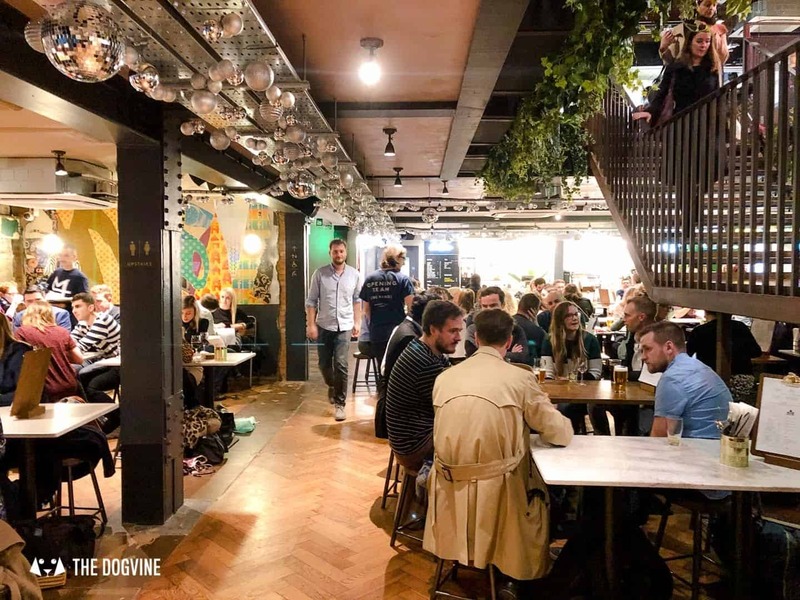 With 9 street food stalls and 10 bars (one of them a rooftop bar) all within a short walk of either Shoreditch Station, Old Street or Liverpool Street Dinerama may look unassuming from the outside but don’t underestimate it on the inside. 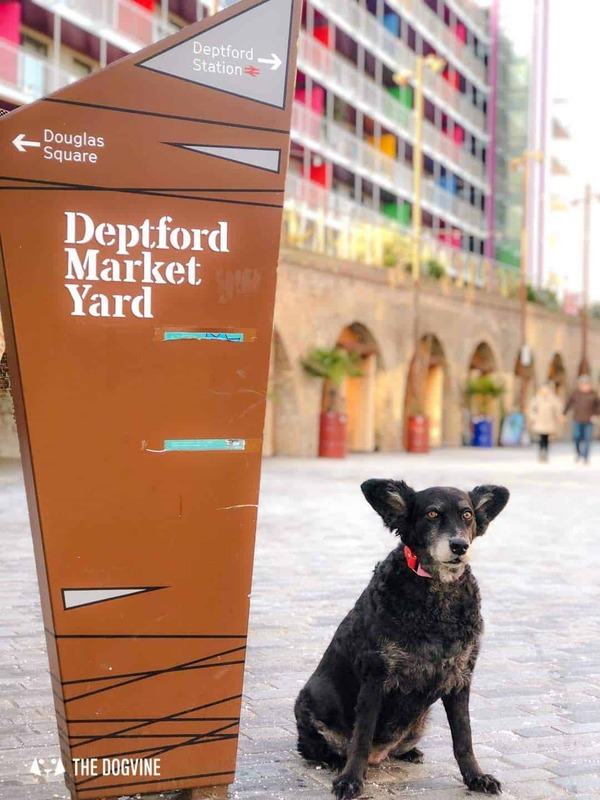 Every Saturday from 10am-3pm, the cute cobblestone of Deptford Market Yard tucked under the railway arches is home to Deptford Bites, curated by events collective Eat Me Drink Me who bring stalls full of street food, fresh farm product and crafts (and even a doggy stall or two we’re told). 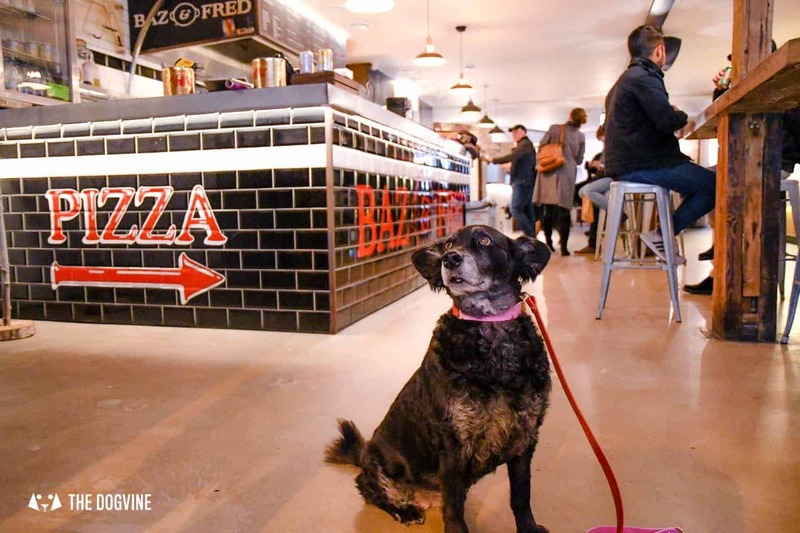 Deptford Bites is taking a break for January but we’re looking forward to their 2019 season so we have two reasons to visit this corner of Deptford (dog-friendly Little Nan’s Bar being the other one, read our review here). 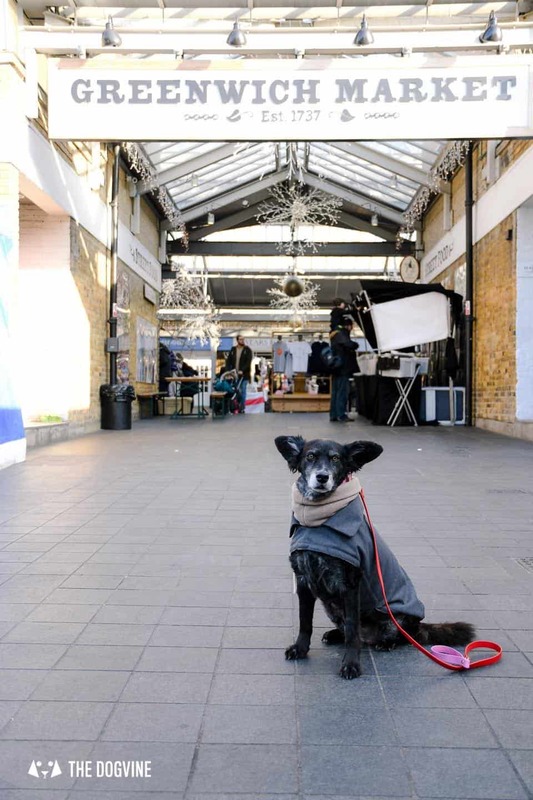 Another in the Street Feast family of dog-friendly street food markets, this time in Woolwich. 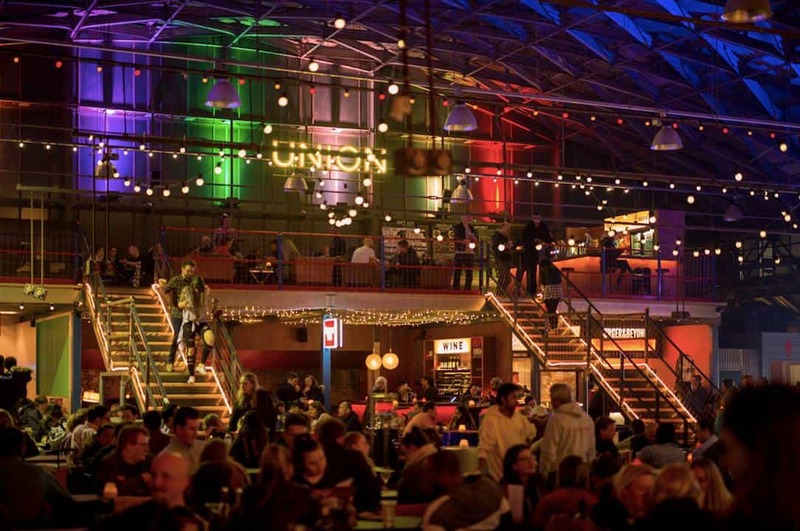 Public has turned an old disused market into a culinary delight set over a ground floor plus two mezzanine levels with an arched rainbow roof. Boasting eight street food traders, 5 bars and even a pool bar (as in the game not of the swimming variety), there’s plenty to keep you busy at this one. Brilliant – thank you so much for this. Glad to know that my local in Victoria is dog-friendly! No problem, glad you found it useful! It can get very busy in the evening at the Victoria one so bear that in mind for when you go. Great, hope you like them if you do!